Editor’s note: We all know the benefits of exercise, but sometimes it’s difficult even to just get going. If we see that a friend or loved one needs to do that, it might be difficult to hold back from pushing them or talking in ways that won’t help them. Here, experts from G04Life, a division of the National Institute of Aging, share some tips on how you can get them going – without making them feel bad about themselves. For some people, becoming physically active is a big change. Applaud that first step and continue to reinforce the decision to be active. Listen to the challenges, brainstorm solutions, offer a pat on the back, and celebrate progress. Go along to buy new shoes or workout clothes or to try an exercise class. Volunteer to take over a household errand to make time for your friend to go to her weekly basketball game. Walking together is a wonderful way to be active and catch up with a friend. Try activities that are just right for two, like dance lessons or badminton. Challenge your friend to a weekly ping-pong game. Travel, illness, and work can get in the way of physical activity. Work together to find ways to get back on track as soon as possible. Don’t push too hard. People need to start out at a pace that’s right for them and build up from there. Don’t be judgmental. Negative comments about appearance or performance can halt efforts to be active. 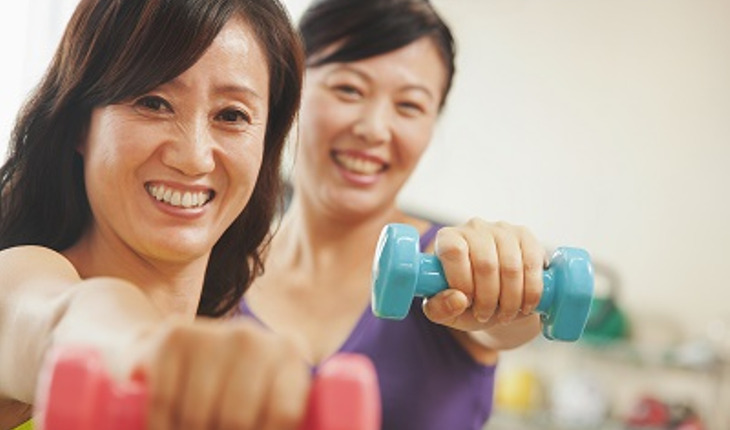 For more information on senior-related exercise, visit Go4Life.